When digital homeschool curriculum first came out I wanted nothing to do with it. I loved buying and using new homeschool curriculum each year and looked forward to opening the pages of new books. 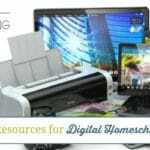 The thought of printing or downloading digital homeschool curriculum to a device for us to use throughout the year was not as thrilling to me. 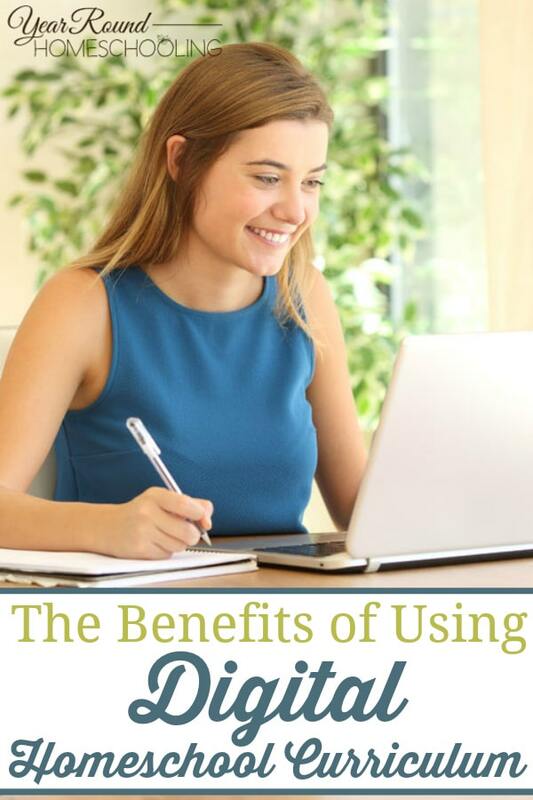 However, as I encouraged my children to be a part of choosing the direction for their education I began to recognize all of the benefits of using digital homeschool curriculum. 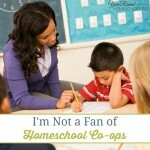 As a homeschool mom I’ve learned to always be open to making changes to our homeschool journey. You never know how using a new curriculum, resource, schedule or even homeschooling method can make a difference in your life or your kids lives. I know that digital homeschool curriculum is unlike traditional textbooks, but being different is a good thing! Digital homeschool curriculum has an amazing variety of topics and subjects available! You won’t just find typical textbook-style resources when you start researching. Instead of dry, fact heavy subjects you’ll discover topics such as; vikings, vocabulary studies, horses, fractions, art history, life skills, Shakespeare, phonics, American girls, essay writing, sports and MUCH more! This has been especially important to our child led homeschooling method. Homeschool curriculum publishers are limited to what they can create because of the cost involved in printing and shipping. Digital homeschool curriculum allows authors and creators to design resources at significantly lower cost because they don’t have to pay for printing or shipping. That also benefits you as the cost savings trickles down to the buyer and the cost to purchase a digital homeschool curriculum is lower than that of one in print. This does not mean that the quality will be lesser than that of a physical homeschool curriculum. I’ve been thoroughly impressed with the quality of the digital homeschool curriculum I’ve purchased for my kids. In addition to the variety of topics and subjects the activities included in digital homeschool curriculum also vary! As you delve into the world of digital homeschool curriculum you’ll discover online courses, hands-on activities, video lessons, traditional question and answer, interactive digital programs, printable resources, etc. The diversity of activities found in digital homeschool curriculum makes it a great option for using with all kids – no matter their age, grade level or learning style. As my kids have grown up they’ve needed to be exposed to using technology in a more practical and purposeful manner. I want them to learn that technology isn’t just for entertainment. Using digital homeschool curriculum has given them the opportunity to see and learn what technology was originally created to be. A tool. The abundance of creators and authors of digital homeschool curriculum grows every single day! You won’t ever run out of options for using digital homeschool curriculum with your kids. Whether you search on Pinterest for new resources, shop the Build Your Bundle Sale, check out Currclick or follow your favorite blogger, you can always find a new digital homeschool curriculum to use as part of your homeschooling journey. There are times when I miss getting a box of brand new homeschool books for the upcoming homeschool year. I miss the smell of them and the crispness of turning the fresh pages. However, I’ve seen my kids grow and enjoy learning so much since we started using digital homeschool curriculum. So, the benefits of using digital homeschool curriculum are of greater value to me than the few things I miss as a homeschool mom. What are your favorite benefits to using digital homeschool curriculum? What would I search for when trying to find a digital curriculum?